Congratulations Frank and Janet Gengo on your 60th Wedding Anniversary! 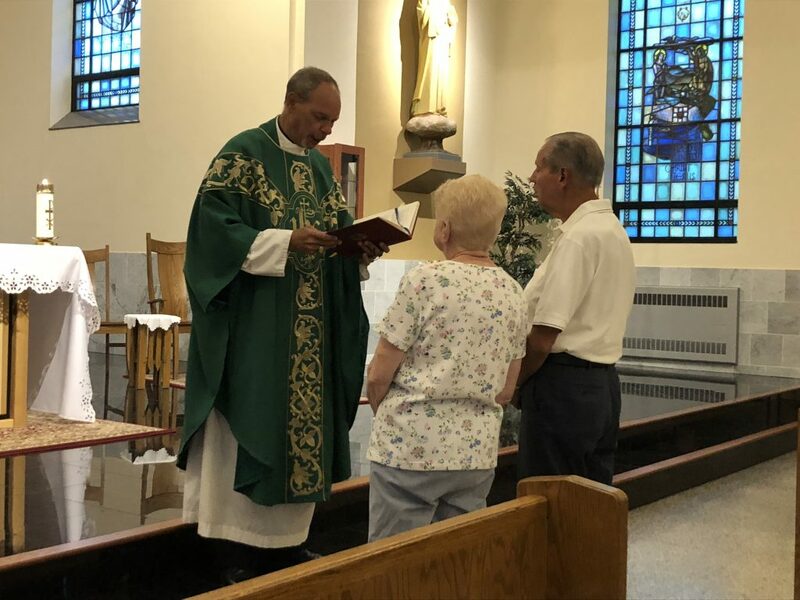 Janet and Frank Gengo receiving Father Bob’s Blessing on the occasion of their 60th Wedding Anniversary at Daily Mass on Thursday, September 6, 2018. Congratulations!